Does Having a CCW Bypass Background Checks When Buying a Gun? Does A Concealed Carry Permit Allow You to Bypass a Background Check When Purchasing a Firearm? We get a lot of permit related questions here at USA Carry. That is one of the reasons we started a new Concealed Carry Q&A Digest recently. A common question we get if a concealed carry permit exempts you from the background check when purchasing a firearm. In other words, does having a concealed carry permit allow you to bypass the background check, fill out the paperwork, pay, and walk out the door. Luckily it is relatively simple to answer this as the ATF provides a list of permits or licenses that qualify. To make it easy for our readers, we decided to add that list to our website as well. If you would rather skip the history lesson click here to scroll right to the list of states that have permits that are exempt from the background checks. We all know that when you purchase a firearm from a licensed dealer, you fill out the ATF Form 4473. Then the dealer calls the NICS or submits it through the online portal (NICS E-Check). They will generally either receive a “Proceed” or “Transfer”. Or they may receive a “Delay” status which means you will have to wait for them to finish looking into this check and provide a “Proceed,” “Transfer,” or “Deny” or wait the three-business days if your state allows that. But you may have a way to bypass the background check portion of buying a firearm if you have a valid concealed carry permit or license. I’m sure you have heard of the Brady Handgun Violence Prevention Act (aka Brady Act). If not you can read up on it at Wikipedia but basically, it required federal background checks on firearm purchases and a five-day waiting period on purchases until the FBI implemented the NICS system in 1998. However, the ATF looks at the laws for obtaining a concealed carry permit or license in each state and deems whether or not having a valid concealed carry permit or license exempts you from having to go through the background check when purchasing a firearm. As of this writing, 28 states have these exemptions. Some have a few caveats such as California only exempting Entertainment Firearms Permit holders. Also, some states permits or licenses are only exempt if the issue date is on or after a specific date due to states that have changed their laws. It also may depend on the type of permit or license. For example, my Louisiana Concealed Handgun Permit was up for renewal last year. I renewed a few months earlier since Louisiana Concealed Handgun Permits issued on or after March 9, 2015, qualify for the exemption. I also found out that only the 5-year permits are eligible for the exemption. 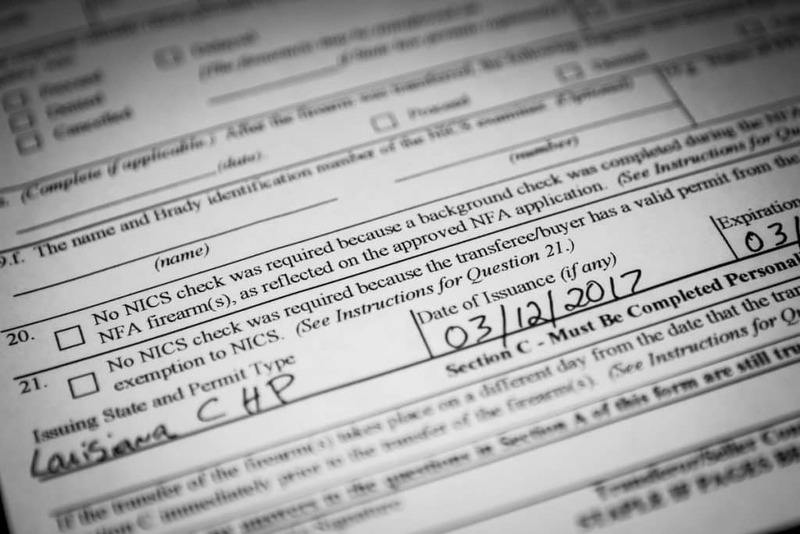 Louisiana offers a lifetime permit, but it does not exempt you from the NICS background check when purchasing a firearm. So I naturally went with the 5-year permit. The ATF updated their list on May 10, 2017. We will constantly check their chart for changes to update ours. Alabama Concealed weapons permit issued on or after August 1, 2013, qualifies as an alternative to the background check requirement. Arizona Concealed weapons permits qualify. Georgia Georgia firearms licenses qualify. Hawaii Permits to acquire and licenses to carry qualify. Idaho Concealed weapons permits qualify. Iowa Permits to acquire and permits to carry concealed weapons qualify. Kansas Concealed handgun licenses issued on or after July 1, 2010 qualify as alternatives to the background check. Kentucky Concealed Deadly Weapons License (CDW) and Judicial Special Status CDW issued on or after July 12, 2006 qualify. Louisiana Concealed handgun permits issued on or after March 9, 2015 qualify. Michigan Licenses to Purchase a Pistol qualify. Concealed Pistol Licenses (CPLs) issued on or after November 22, 2005, qualify as an alternative to a National Instant Criminal Background Check System (NICS) check. CPLs issued prior to November 22, 2005 and Temporary Concealed Pistol Licenses do not qualify as NICS alternative. Minnesota Permit to Carry issued on or after August, 1 2014 with an expiration date on or after August 1, 2019. Mississippi License to carry concealed pistol or revolver issued to individuals under Miss. Stat. Ann. § 45-9-101 qualify. (NOTE: security guard permits issued under Miss. Stat. Ann. §97-37-7 do not qualify). Montana Concealed weapons permits qualify. Nebraska Concealed handgun permit qualifies as an alternative. Handgun purchase certificates qualify. Nevada Concealed carry permit issued on or after July 1, 2011, qualify. North Carolina Permits to purchase a handgun and concealed handgun permits qualify. Ohio Concealed weapons permits issued on or after March 23, 2015, qualifies as an alternative to the background check requirements. South Carolina Concealed weapons permits qualify. South Dakota Gold Card Concealed Pistol Permits and Enhanced Permits to Carry a Concealed Pistol issued on or after January 1, 2017. Texas Concealed weapons permits qualify. Utah Concealed weapons permits qualify. Washington Concealed pistol license issued on or after July 22, 2011 qualify. West Virginia Concealed handgun license issued on or after June 4, 2014 qualify. Wyoming Concealed weapons permits qualify. * These states had permits or licenses that were grandfathered in when the Brady Act took place. But none of these permits or licenses are still valid.